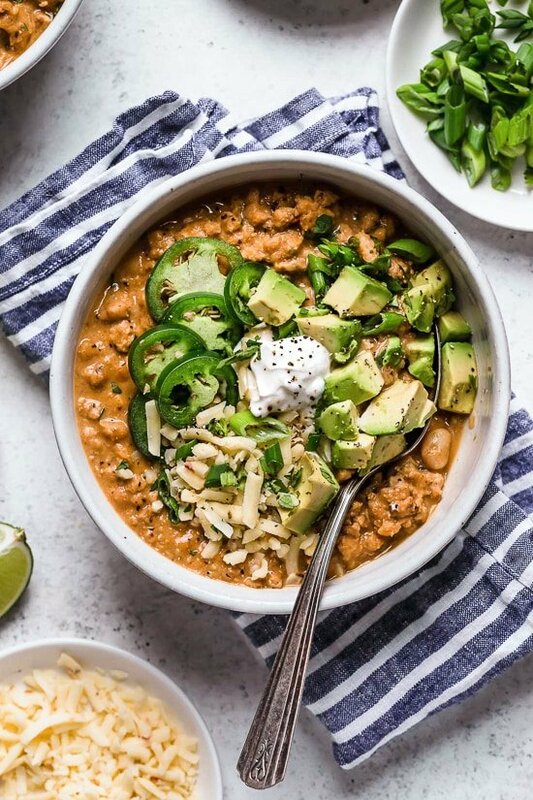 A delicious, creamy White Bean Turkey Chili recipe is made with canned white beans, ground turkey, aromatics and spices – no tomatoes! This easy chili can be made on the stove, slow cooker or Instant Pot. Leftovers taste even better the next day for lunch! More chili recipes you might enjoy are Jalapeno Popper Chicken Chili, Quick Beef Chili, and No Bean Turkey and Sweet Potato Chili.